Jack and the Beanstalk powered by Net Entertainment is one of the top 3D slot games to hit the cyber gaming world of late. 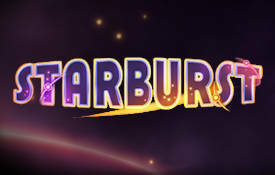 This 5 reel (Non progressive), 20 payline slot game comes with a wild symbol, scatter, multiplier free spins and offers a maximum jackpot payout of $15,000. 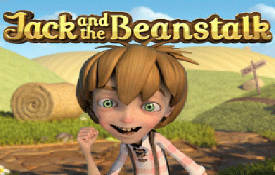 It is based on the popular English folk tale Jack and the Beanstalk. Jack sold his cow for “magic beans”. His mother was so angry at him for selling their cow for magic beans that she threw them out the window. The following morning our hero’s beans sprouted into a giant beanstalk. Jack then climbs the beanstalk and meets up with a malevolent two-headed giant who nearly gets the better of him. As the old saying goes the rest is history. Jack and the Beanstalk kicks off where Jack escapes from the castle in the clouds, he’s being chased by the nasty two-headed giant who lives there. 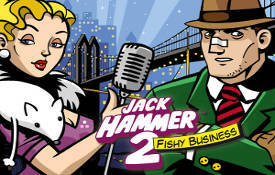 The game’s animations are cartoonish, “fairytale” graphics flushed with vivid and eye-catching colours akin to a Disney movie. The 3D graphics are more or less the same as the ones we’ve experienced in Betsoft games such as Lost. The quality of the graphics and animations are something to behold and definitely gives the Microgaming software a run for its money. Even though there’s no real music in the game (apart from a catchy tune the moment you hit a walking wild), the soft, natural chirping of birds in the background creates a feeling of relaxation. Before you embark on your quest for riches, start by adjusting the coin value between $0.01 and $0.5. Choose how many coins per line (1 to 10) you want to stake on each payline. The ‘spin’ button starts the reels with the settings you have selected. The ‘max’ button will then spur things into action with the coin level you selected. Symbols that appear on the reels are Jack, treasure chests, the golden chicken, the two-headed giant, bean tree-shaped poker symbols, goats, axes and so forth. One of the highlights of this slots is its innovative walking wild and a scatter that offers lucrative free spins. Jack and the Beanstalk is ideal for low rollers since its coin denomination ranges from $0.01 to $0.5. If you’re a high roller you can wager up to 10 coins per payline. The Walking Wild feature combines a wild symbol function with re-spins. In other words the moment a wild symbol appears, you’ll receive a re-spin, the wild symbol will then move one reel to the left, awarding an extra free spin. This is not all; all winnings that are hit with the help of the walking wild will be tripled! Three or more scattered treasure chests rewards players with 10 free spins. 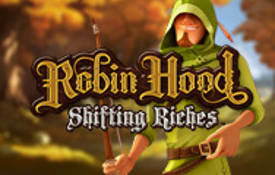 An extra 5 spins will be awarded if you manage to hit another three plus scattered chests during the free spins round. 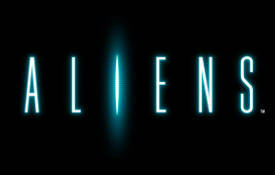 Key symbols appear on reel 5. Certain wild features are unlocked by the amount of keys collected. Three key symbols turn any new walking wild into a stacked wild of two money bags. Three stacked golden hen symbols are activated by six of the keys that replaces any appearing walking wild. Nine keys make any new walking wild an expanding golden harp symbol. You will receive incredible prizes by any of these variants. Keep your eyes peeled for the golden keys in Jack and the Beanstalk! Unfortunately Jack and the Beanstalk does not offer a progressive jackpot. It does offer a maximum jackpot payout of $15,000 in cash (30,000 coins). You’ll earn 1,000 coins if you land five Jack symbols on a single payline. Since all wins are tripled, you could win 3,000 coins on a single line on condition a wild symbol is included in this combination. Large wins are possible if you hit numerous wild symbols and if you manage to keep the Walking Wild re-spins triggering repeatedly. In summary. 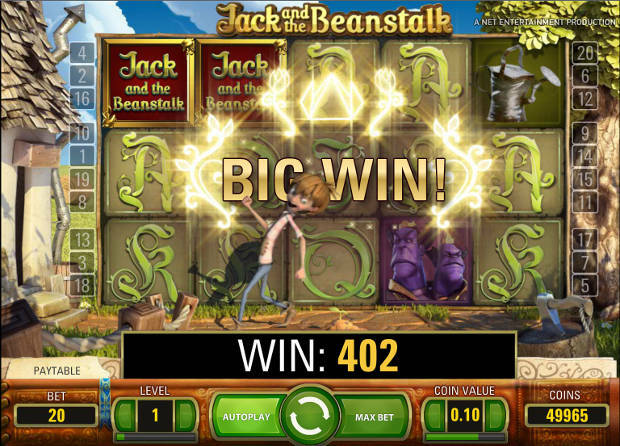 Not only is Jack and the Beanstalk a quality 3D slots but features exquisite graphics and animations across the board. Worth mentioning, Pixar Studios is one of its developers. Of particular interest is its walking wild re-spin feature. The slot game will appeal to penny pinchers because of its relatively low coin denomination. 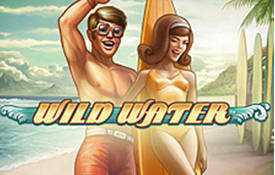 On the downside; if you don’t hit enough wilds the free spins might not be that lucrative. We recommend you play Jack and the Beanstalk at these Net Entertainment Casinos.